There have been 13 2 bedroom units sold in this building in the last 12 months. The last unit in this building sold on 3/15/2019. Click here to get the details of all closings in the last 12 months. 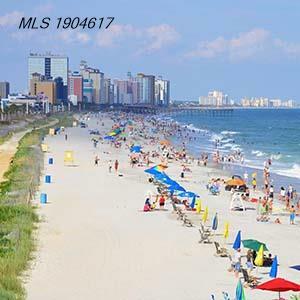 Maison Sur Mer is one of the Classic's along the Grand Strand. Such a great and very well maintained building. This is an extremely nice two bedroom two bath condo in Maison Sur Mer. This fully furnished unit has laminate wood floors through out and tile in the bathrooms. The eat in kitchen has been updated with granite counter tops and nice appliances. Every room has access to a large balcony . This building is very well kept. The staff are very helpful and courteous. The amenities in this building are fantastic. Restaurant on the main lobby, workout facility , Billiards room , outdoor pool and grill, tennis courts and a banquet room for entertaining. This building also has 24hr. security. Come and enjoy life at the beach.